2018 Conference – Holistic Management Canada Empowering farmers and ranchers to make socially, ecologically and financially sound decisions in order to reach family and business goals. Looking for the 2019 conference? Click here. Holistic Management educates and empowers people to make socially, environmentally and financially sound decisions. Lead your farm with new ideas and inspiration to improve your farm and business management. Join us for an evening social and sample local products from the Moosomin area. If you would like to donate food contact us asap! Make cheques out to Holistic Management. Early Bird ends January 15th. Walk ins welcome but you will need to go up town for meals. Dr. Morrissey is an Associate Professor at the University of Saskatchewan in the department of Biology and the School of Environment and Sustainability. Her research expertise is in ecotoxicology of birds and aquatic ecosystems, agricultural pesticides, and wildlife conservation. Christy has 18 years experience working on issues related to environmental contamination and the use of birds as indicators of environmental change. She has published over 50 journal articles, book chapters and reports. She has been an advisor and member of the IUCN Task Force on Systemic Pesticides and works closely with provincial and national governments on regulatory issues of pesticides, wetlands and the conservation of migratory birds. Dr. Morrissey has been featured very broadly in the national and international media including CBC’s Quirks and Quarks and The Nature of Things, Audubon Magazine, Science Daily, and a full feature documentary film about songbird declines called “The Messenger” released in 2015. 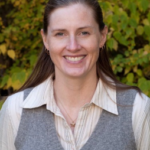 Additional information about her current projects and publications can be found at http://christymorrissey.wix.com/morrisseylab. Phil Rose works on developing grassland songbird management targets and evaluating multi-species management in the mixed-grass prairie. His research focus is on quantifying the relationship between habitat variables (e.g., vegetation height, litter mass, shrub density) and grassland songbird abundance and occurrence, identify whether the preferred range of habitat characteristics vary or remain consistent as moisture and grassland conditions change across the prairies and assess degree of overlap of habitat preferences within the grassland songbird community and in comparison to greater sage-grouse habitat requirements. Kristelle Harper has grown up on Circle H Farms. Circle H Farms is a “regenerative”, family run, beef seedstock operation in Brandon, Manitoba focused on soil, plant and animal health. We develop all of our breeding stock in a 100% forage only environment. Animals culled from the breeding program are forage finished and direct marketed to the consumer. Although a small part of our program it is one she is intent on growing. We now own 600 acres and run 90 breeding females, a small operation by most of today’s standards. Calves are retained and run as grassers being sold as long yearlings off grass. In 1994 was our introduction to rotational grazing and we were quick to adopt the practice and continued with this management until 2013 feeling we had met our potential but still continually searched for better methods. 2014 to present we have embarked on using High Stock Density Grazing sometimes referred to as Management Intensive Grazing or Adaptive Management Grazing. We have seen phenomenal response from the land under this regime! Plant density and diversity have both increased, we now leave more grass behind than we used to grow! We produce more beef off of the same acres merely by feeding the soil biology! The soil structure has improved and water infiltration has increased! Organic matter has increased over 1% in 3 years! Wildlife is more prevalent from the insects to mice, snakes to white-tailed deer. The environment, with our management, is Regenerating! 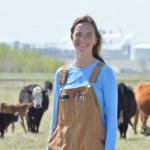 Kristelle completed her Animal Science Bachelor’s degree in the College of Agriculture and Bioresources at the University of Saskatchewan in 2016. In the summer of 2015 Kristelle became a summer student at Manitoba Beef and Forage Initiatives (MBFI). After completing her schooling she joined the MBFI team as the full time research coordinator. Kristelle’s passions include working alongside her father, Brian Harper to use high intensity grazing as a tool to improve the rangeland health and production by focusing on soil health. She also prides herself in helping to complete leading edge extension and peer reviewed research conducted at Manitoba Beef and Forage Initiatives. Blain Hjertaas is a certified Holistic Management educator and practitioner from the area. Blaine is part of the Soil Carbon Coalition and uses regenerative agriculture methods to build organic matter. Learn the importance of capturing solar energy and optimize water and mineral cycles to grow nutrient dense food. We feel strongly that we need the input of younger people at our regenerative conference. So we have put together a KIDS Program that is included in the family registration. The older KIDS Program will be on Saturday morning. They will go to the bowling alley/game simulator. In the afternoon they will go to a heated riding arena. They will have horse drawn sleigh rides with Michelle Newton and have a stock dog demonstration with Duane Thompson. The KIDS will do some educational demonstrations on the eco systems and how nature works as a whole.